Ideal for Spring Turnout, the Ontario Combo is a quality made garment favoured by our local horse owners. 600 denier ripstop material with no fill, this protects against wind and rain. 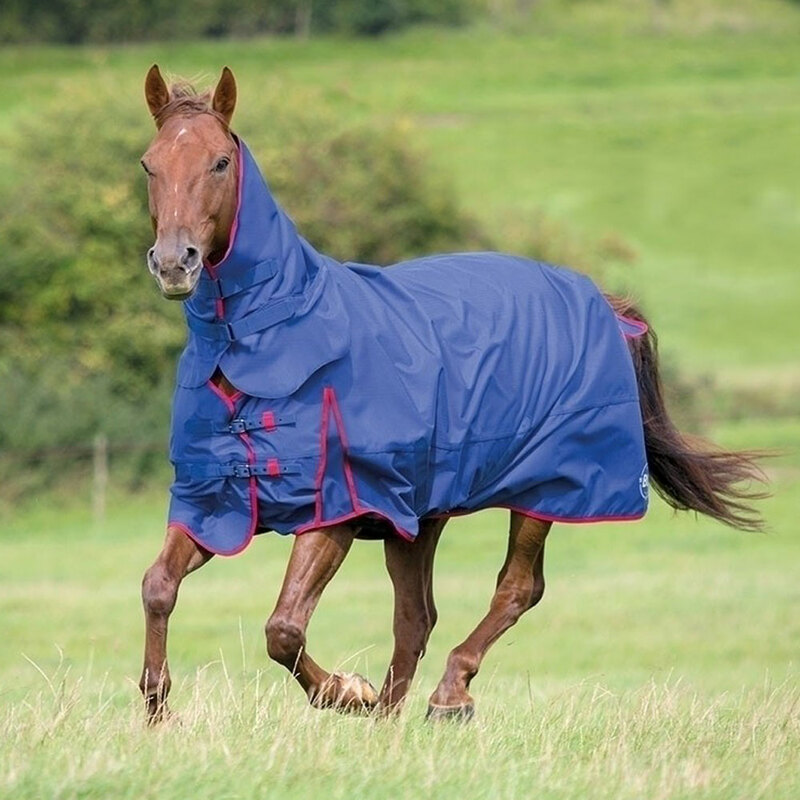 The Bridleway Ontario Lightweight Combo Turnout Rug offers a lightweight, waterproof, breathable rug to protect horses against rain, wind and wear and tear in the field. The Bridleway Ontario Lightweight Combo Turnout Rug features embossed full lining, adjustable buckle chest straps, cross surcingles and fillet strap, inner loops for attaching leg straps, large tail flap, silver heat transfer logos, and gunmetal grey anti-rust fittings.